The story of a granddad who builds a treehouse for his nephew is as old as the story of Santa Claus who brings the gifts to the children for Christmas. But I think is always something magic and full of good and positive feelings. My first treehouse was built by my granddad, maybe I’m influenced by this. I remember a 70 years old man who had fun to build something for us, full of energies and happiness seeing us helping him and being so excited from what he was doing for us! I’m so happy that I lived this experience with him, it’s one of the most incredible and indelible moment that will stay in my mind forever! For this reason, every time that I read or someone send me a story similar to this one, I feel happy for this children and for this grandfather. I hope and I wish that also they will have this memory forever. 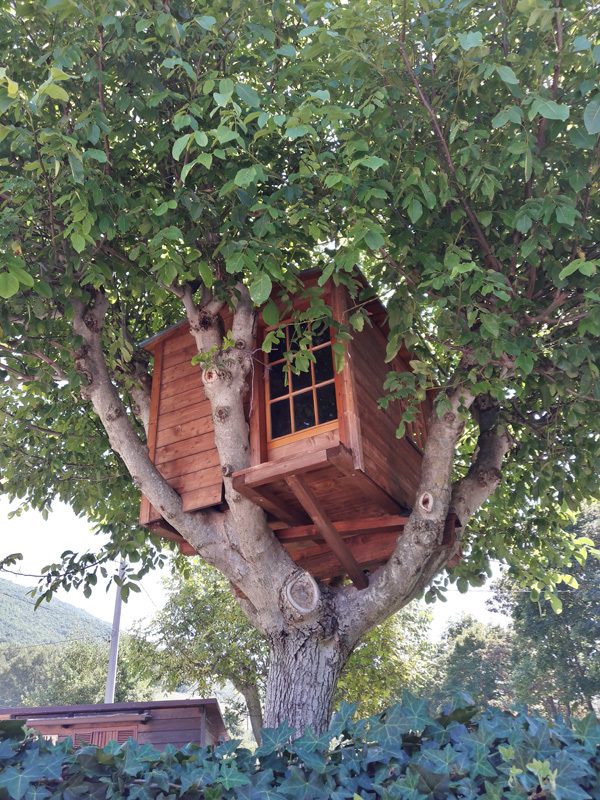 This treehouse, as you can imagine, has been built from a grandfather for his nephew. 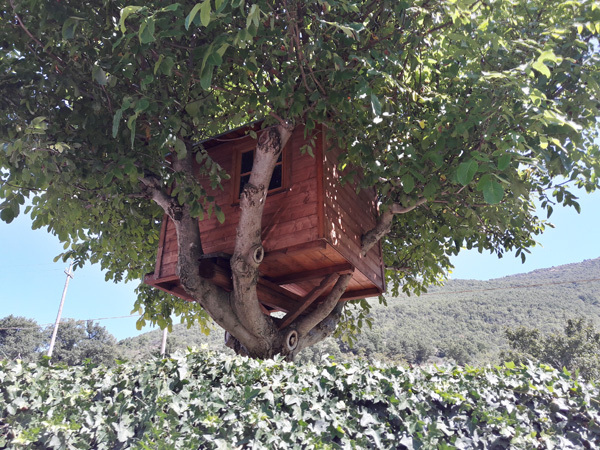 Roberto sent me this pictures, he found it when he was going around Cantiano -a small village in Pesaro-Urbino, Italy- and he could speak with the owner, who, in a proudly way, told him that he built the treehouse without any nails, just using the snap-fit technic.